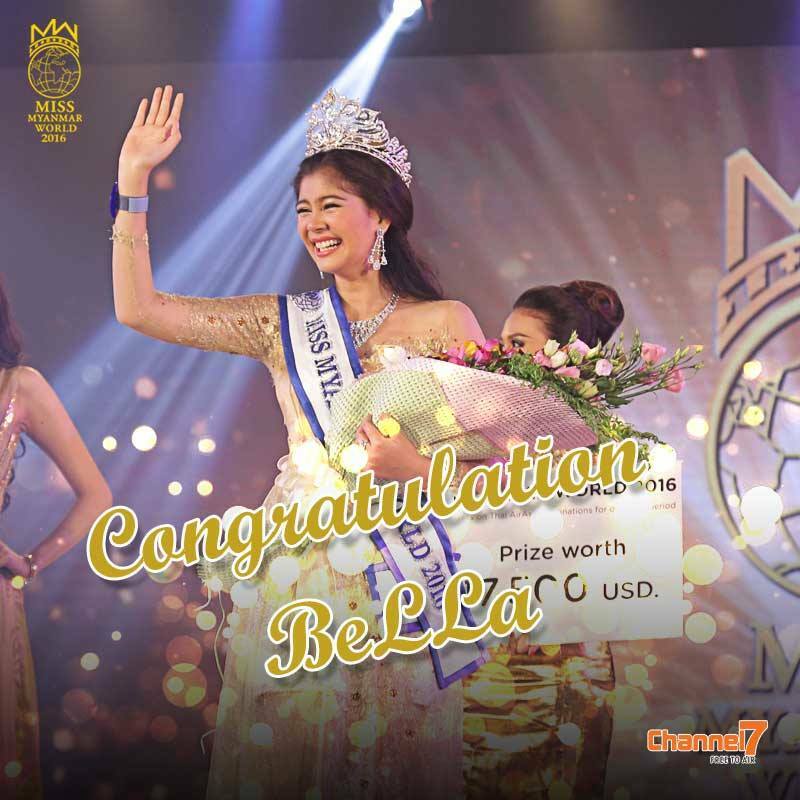 17 year old Myat Thiri Lwin (Bella) was crowned Miss World Myanmar 2016 last night. She stands 1.7m tall and will represent Myanmar at Miss World 2016. M Ja Seng finished in second place and La Yate Pyar finished in third place.